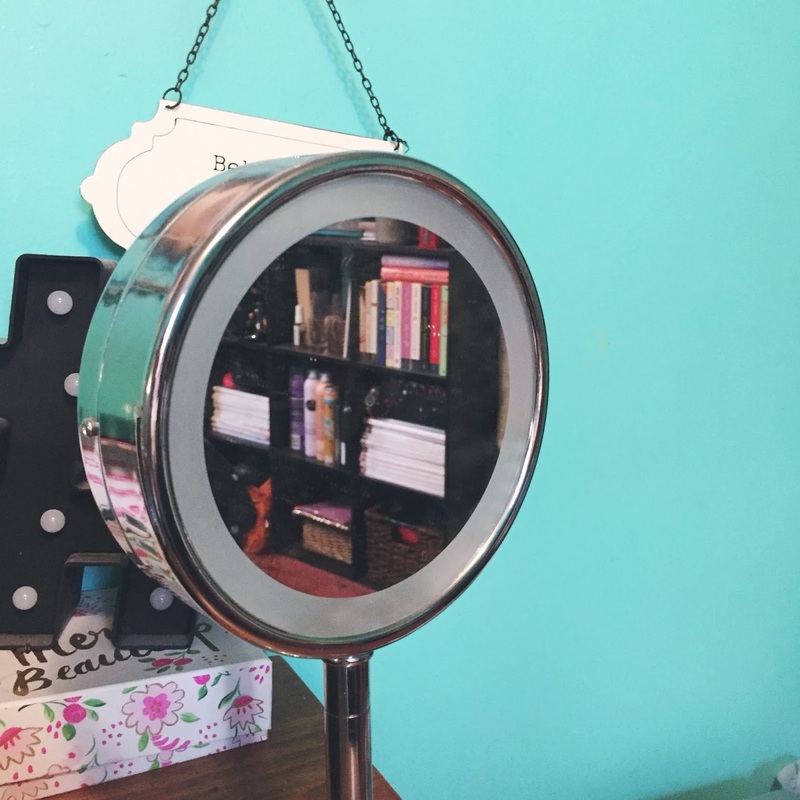 Mirror, Mirror On The Wall...Wait, I Have How Many Minutes to Get Ready? No matter how many alarms you set, how much sleep you get, and how much you know you have to do in the morning, at least once in your life, you'll oversleep by complete accident and throw off your whole morning routine. These things happen to the best of us, and honestly, you never know how to prepare for these moments. Another scenario: you wake up on time but it's an ungodly hour because you thought that an 8 AM class would be doable when, after only a week of being enrolled, realized that an 8 AM class was not doable. You look at the clock and realize that time has somehow sped up two hours and you have what seems like not enough time to do anything, let alone get yourself ready for the day. I have good news for you: the world doesn't have to fall apart if you're running late! I love doing a full face of makeup as much as the next beauty addict, but sometimes you have to skip the winged liner and contour and just focus on the basics. If you're like me and need at least a layer of foundation to feel okay, do that. If I'm in a rush, I do a light layer of foundation, concealer under my eyes to get rid of those pesky dark circles, any touch up concealing if I have bad breakouts that day. Sometimes I leave it at that or I'll add a little bit of bronzer, blush, and highlighter and follow it up with some mascara and tinted brow gel. Obviously, this part depends on your comfort level with how much makeup you like to wear on a daily basis anyway. If you don't wear makeup at all, then you already skipped this step and are on your way to the next! Y'all, I lived in messy buns and ponytails pretty much my entire last semester of college because I had a class at 8 AM and needed to leave my apartment at around 7:30 to get there. I barely wanted to do a full face of makeup, let alone style my hair. Brush out your roots to smooth out any bumps and pull that hair back into a voluminous messy bun. It's totally in style, right? For my gals with shorter hair, I feel you. I couldn't wear messy buns my entire last six months in Cleveland because I decided that I wasn't going to be "lazy" and that I was going to force myself to style my hair on a daily basis. I never did. Instead, I tied my hair back into the lowest ponytail I possibly could and hoped for the best. Plain white t-shirt, medium wash denim, black booties. Black sweater, light wash denim, same black booties. We all have our go to outfits without even realizing that we do. What do you wear when you can't think of anything else to wear? "Outfit repeating" aside, we all have those pieces that are our tried and true wardrobe essentials. These outfits exist for days where time seems to have escaped you. Put them to the test so you don't have to spend fifteen minutes tearing apart your closet and making your room a mess in the process. I don't know about you, but red lipstick makes me feel like I have my life together. It's my go to lipstick color when I am not feeling my greatest. It gives me a confidence boost and gives me the illusion that my outfit is put together. If you can tolerate wearing lipstick, find your signature red and give it a go! Red lipstick is the easiest way to elevate a look. Love it! !